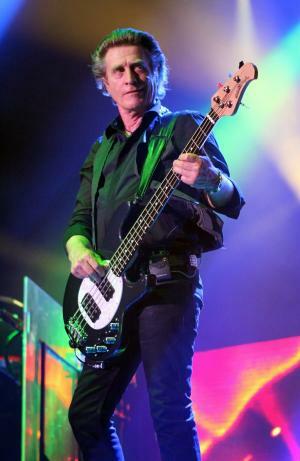 Ross Lamont Valory was born on 2 February 1949, in San Francisco, California USA, and is a musician, best known as the bass player for the rock band Journey. So just how rich is Ross Valory? According to sources, Valory has amassed a net worth over $30 million, as of early 2017, acquired during his music career which began in the late 1960s. Valory grew up in Lafayette, California, where he attended Acalanes High School. His music career started during his teenage years, when he joined the band called the Mystiques, which eventually became known as Frumious Bandersnatch. Following their disbandment, he went on to briefly perform with the Steve Miller Band in 1971. In 1973, he and Herbie Herbert, former manager of Santana with whom Valory played in Frumious Bandersnatch, joined forces to help form Journey. Other members included Neal Schon as guitarist, Prarie Prince as drummer, George Tickner as rhythm guitarist and Greg Rollie as keyboardist and lead singer, although the line-up has changed several times since then. In 1974 the band signed with Columbia Records, releasing their debut album “Journey” in the following year. Two more albums followed, but without success. Then, adding Steve Perry as their new lead singer and Roy Thomas Baker as their producer, the band released their fourth album, the 1978 “Infinity”, which paved their way to fame and success, especially with the hit single “Wheel in the Sky”. Two more successful albums followed, reinforcing the band’s rising popularity. Aside from becoming popular, Valory’s net worth began to grow too. In 1981 Jouney released their seventh album entitled “Escape”, which became their most successful studio album, selling over 12 million copies and containing the top ten hits “Don’t Stop Believin”, “Who’s Crying Now” and “Open Arms”, and with which the band through to the top ranks of pop groups. Valory’s fortune boosted again. Their next album, the 1983 “Frontiers”, followed the success of its predecessor, selling nearly six million copies; Journey had reached the stardom, contributing further to the growth of Valory’s wealth. However, due to musical and professional differences, he was fired from the band in 1986, and therefore was absent from their album “Raised on Radio”, which also achieved great success. The band then went on a hiatus. During this time Valory, along with Steve Smith and Gregg Rolie, formed the band called The Storm, with singer Kevin Chalfant and guitarist Josh Ramos. Their self-titled debut album in 1991 contained the hit single “I’ve Got a Lot to Learn About Love”. However, after their second album, the 1993 “Eye of the Storm”, the band dissolved. Valory returned to Journey during their 1995 reunion to record the album “Trial by Fire”, and has remained with the band ever since, releasing several successful albums over the years, and scoring hits such as the 1996 Grammy nominated “When You Love a Woman”, and more recently “After All These Years”. Valory’s career with Journey has enabled him to achieve worldwide fame, and a large fan base, plus earning him a sizable net worth. Aside from Journey, Valory has boosted his wealth by also collaborating with many other bands and artists. Speaking about his personal life, Valory has been married twice – in 1971 he married Diane Oakes, but eventually divorced her. He later married Mary. Profession Musician, bass player of rock band "Journey"
Music Groups "Mystiques", "Steve Miller Band", "Yourney", "The Storm", "Frumious Bandersnatch", "The Vu"
1 Journey was awarded a Star on the Hollywood Walk of Fame for Recording at 6750 Hollywood Boulevard in Hollywood, California.